Concordia Baroque repeats its engaging musical celebration of Scotland’s acclaimed poet Robert Burns on Saturday, March 23, 2019 at 7:30 PM in the Musical Chairs House Concerts series in Lexington (address provided on ticket purchase). 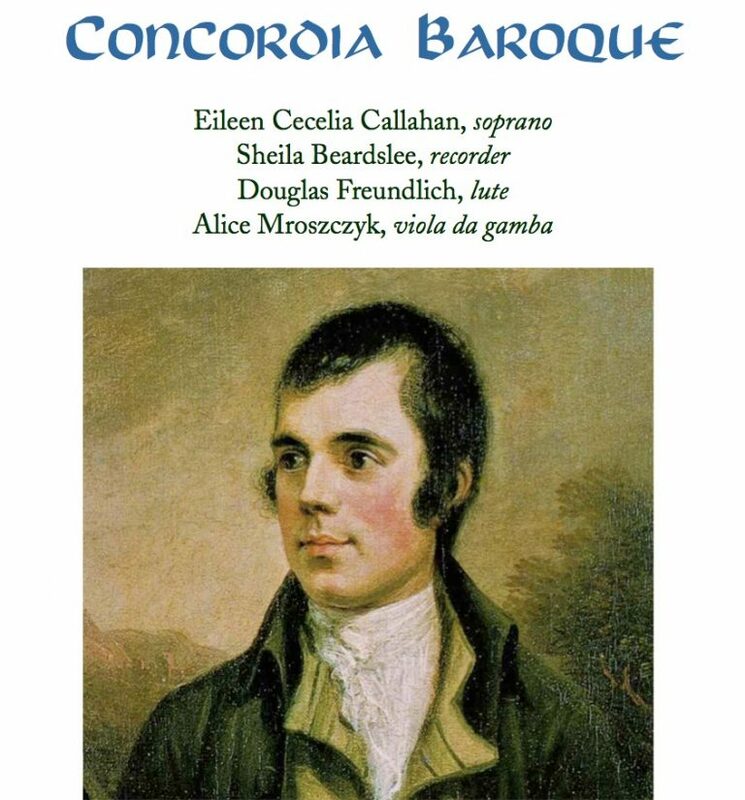 Concordia Baroque — Eileen Cecelia Callahan, soprano; Sheila Beardslee, recorder; Douglas Freundlich, lute; and Alice Mroszczyk, viola da gamba — perform songs on poems written or collected by Burns, as well as instrumental Scottish airs, dances and lute solos. The program also features Arvo Pärt’s haunting setting of “My heart is in the the Highlands”, adapted for voice, lute, bass recorder, and viola da gamba. Light refreshments and conversation with the musicians follow this program. Tickets are $20, $15 for students and seniors. On-street parking is available. Light refreshments and conversation with the musicians after the music.